Stop Smoking Hypnosis CT: Are Cigarettes Taxing You? 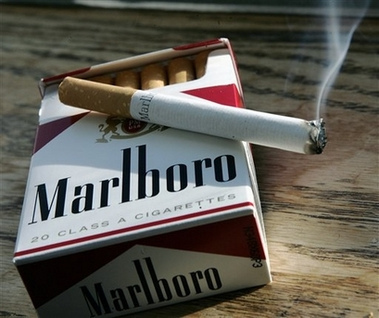 Cigarette Taxes burning a hole in your pocket? I saw an article in The Chicago Tribune the other day reporting that the Illinois cigarette taxes are going up an additional dollar. Some people think that more taxes will discourage smoking. Others say smokers will just go across state lines or buy from Indian Reservations. Current local and state taxes on a pack of smokes in Chicago are $3.66, according to the anti-smoking Campaign for Tobacco-Free Kids. The $1 increase would bring the combined tax rate to $4.66 in Chicago, behind only the $5.85 per pack rate in New York City. Here’s the link to the full Chicago Tribune article on rising Cigarette Taxes. That got me wondering what the actual taxes are here in Connecticut. Turns out to be about $3.50 per pack (based on this map. Don’t get all huffy if it’s not up to date. I’m just trying to make a point). According to this map, only New York has higher taxes… There are also local taxes on top of the state taxes so the reality is if you are a Cigarette Smoker in CT you are being taxed… a lot. The next question is, why not just quit with hypnosis? Seriously. Hypnosis has been proven to work. It has been approved by the American Medical Association since 1958. And YES! I AM saying that because I am a Connecticut Hypnotist. I work with astounded smokers every day who after one or two sessions completely walk away from the tobacco habit with few or no withdrawal symptoms. After years of facilitating the easy, withdrawal free extinquishing of the cigarette habit, even I am often amazed at how well it works. I work with this every day but if the average smoker realized how much easier it is to stop smoking with hypnosis they would run, not walk into offices of hypnotherapists all across the nation. Even if it took 4 sessions or 10 sessions of hypnosis you would be way ahead than with all the other methods out there that are deceitfully designed to keep you hooked on something. It’s good business to either keep you buying the cigarettes or buying the pills, patches, gum and fake cigarettes. Just checked the average price of cigarettes in Connecticut. $8.25 as of June 2011.If you smoke a pack a day and you are paying only $10.00 per pack, that’s $250 per month you will be putting in your pocket for the rest of your life (when you quit)…. That’s $3,000 a year. If you live only 10 more years that’s $30,000 dollars… if you live another 20 years that’s $60,000… and that’s assuming no future increase in prices (which you know are just going to continue to rise). Seriously, instead of paying all the taxes to the state and municipal governments for the privilege of slowly destroying your health and bank account, why not just stop smoking with hypnosis? Now. If you’re not ready yet that’s fine, you have to be ready to do it. But what will it take? cigarettes at $15.00 a pack or $20.00 a pack? Sure increasing taxes are a drag. Money out of your pocket every day that could be used for better things is sad. But what is the real cost of smoking for you? Whose graduation will you miss because your life was cut short? Don’t you want to watch your children and grandchildren grow up? What is the cost of missing that? And then all those cold rainy, snowy, windy days huddled outside with the other tobacco slaves, feeling like outcasts as you grab your nicotine fix? What does that cost? Or struggling to climb the stairs that you used to scamper up as a kid? Or the way your clothes stink? Everybody is different. What finally pushes you over the edge is unique for you. Again. The key to success in quitting smoking with hypnosis is this question: Are you ready to quit? Is the cost of staying the same outweighing the big scary unknown of walking into a hypnotherapist’s office and getting some help? When you’re ready, I can help. My name is Joann Dunsing and I’m a certified Stop Smoking Hypnotist. Contact Me or use the handy form below and I will contact you.